My favourite event of the year! Just over a week ago I took part in the Contemporary Textiles Fair at the Landmark Arts Centre in Teddington, near Richmond. My stand 2013 My stand 2007- just a little different! I've just figured out that I've done it every year since 2006! It was my first "bigger" event that I travelled too and not only is it full of amazing textiles and an audience who love textiles, it's also in a great venue - a converted gothic church. 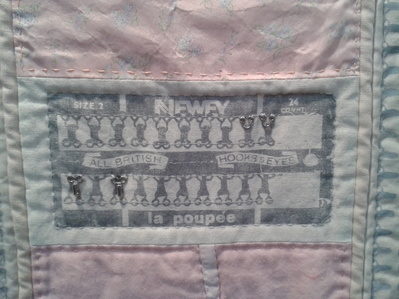 It's a great chance to meet up with other makers like Priscilla Jones, who also did her degree in Embroidery. Jennifer Hollingdale creates handmade quilts, prints and collages many of which use haberdashery or images taken from haberdashery and other small domestic items. Lovely work. 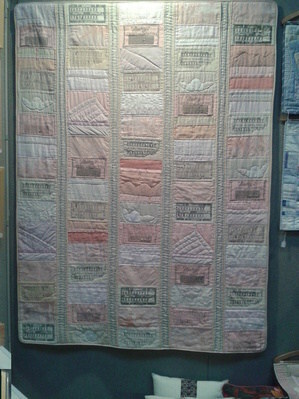 These new designs got their first outing at the Textiles Fair and went down well with the textile loving visitors. 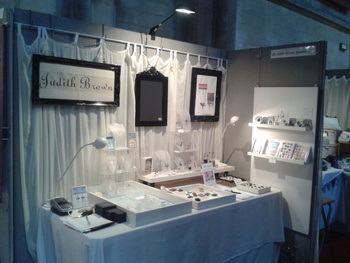 They aren't online as yet, I'm still trialling the designs by selling direct at events first. The next event is this weekend, 23 and 24th March at SOCK. 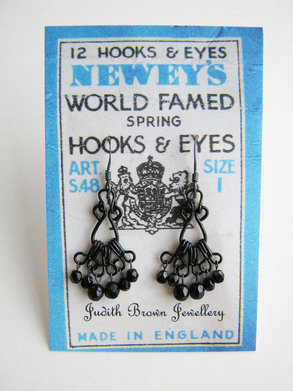 There are pendants and earrings all made with vintage and modern haberdashery, but no wire stitching this time. Prices will be from around £13 to £25. 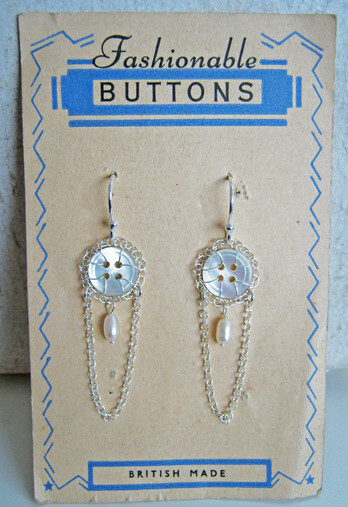 New designs coming soon in My Vintage Mother of Pearl Collection. 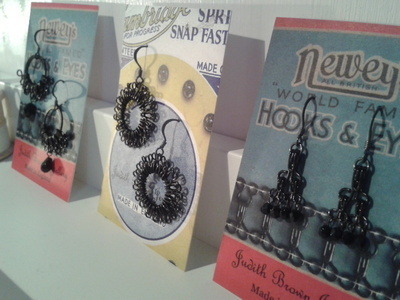 These will be available soon, here's sneak preview of some earrings. 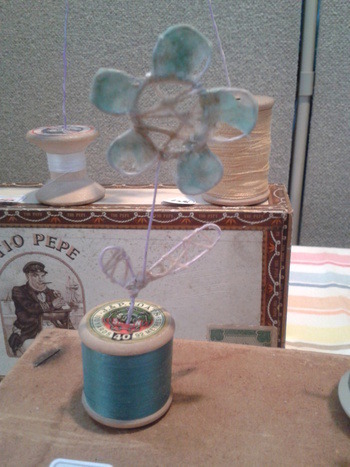 I'm busy getting ready for this weekend's event and for the British Craft Trade Fair and for "Speedcraft" - a workshop with 6 makers and 6 activities and a bell to tell you when to change! 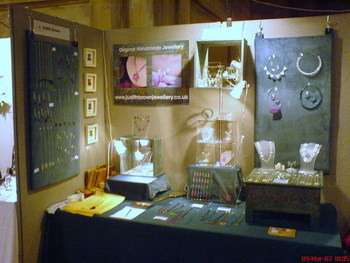 That's on 27th April in Nottingham see www.debbiebryan.co.uk for more details.